Traditionally Spanish, tapas are little snacks, hot or cold. These bite-size dishes, of surprising variety, are best eaten with a glass of wine. You’ll find these miniature delicacies in numerous bars in Biarritz. They are a real gateway to temptation. Friendly atmosphere guaranteed! Le Bistrot located in St Charles district offers a friendly atmosphere, tapas, salads, sandwiches and grills. New " CELLAR to Be eaten " of the Les Halles quarter of BTZ!!! And also " The Wine cellar " Come to discover our hams to the unique(only) taste! 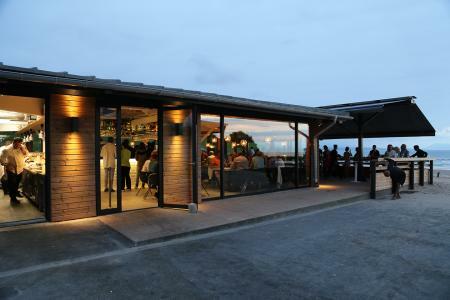 A small and nice bar and restaurant, hidden above the Port Vieux beach. Be careful not to be caught out by the strong swell because the terrace overlooks the ocean.